Liverpool have been drawn against German giants Bayern Munich in the last-16 of the Champions League. The Reds will play the first leg at Anfield on February 19, with the second leg at the Allianz Arena on March 13. Liverpool made it to the knockout stages by finishing second in their group after beating Napoli on the final matchday last week. Asked then for his opinion on who the Reds could face in the last-16, Liverpool boss Jurgen Klopp joked “I don’t care, we will have an outstandingly strong opponent [either way]. Indeed, Liverpool have a minimum of 10 domestic fixtures before the first leg, depending on progress in the FA Cup. So it’s focus on the Premier League for now, where the Reds sit top of the table. In Bundesliga, Bayern are struggling with new manager Niko Kovac under pressure as they are third, nine points off the top. In the Champions League, the Germans, finished top of their group ahead of Ajax, unbeaten in their group. 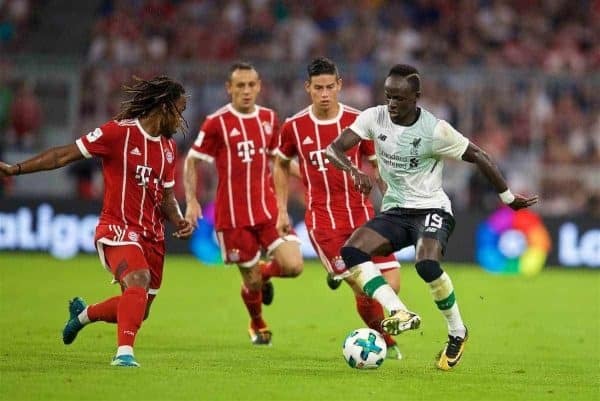 Liverpool last faced Bayern in European competition in the 2001 Super Cup final, but more recently played at the Allianz Arena in pre-season in 2017. We’ll have more reaction to the draw throughout the day.